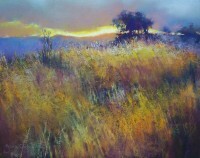 Jane Christie is a professional pastel artist. 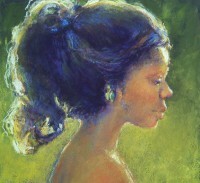 She is a signature member of the Pastel Society of America and the Pastel Society of Colorado. Painting is her bliss. She has been an active artist practically all of her life, studying art at the Atlanta High Museum of Art, University of Georgia, Foothills Art Center and the Art Students League of Denver. Jane's paintings not only reflect her love of nature, but her love of color, light, and the impressionistic style. Her goal is to share her artistic passion and love of art through the paintings she creates. Her professional goal is to grow as an artist by continuing to strive for excellence in technique, color application and being inspired by her surroundings. She is proud to be an exhibitor at Saks Galleries, Cherry Creek. She also wishes to help other artists succeed as they follow their creative path.